This elegant glass and metal cocktail atomizer set fits seamlessly into any well-stocked personal or commercial bar. Holding one oz. 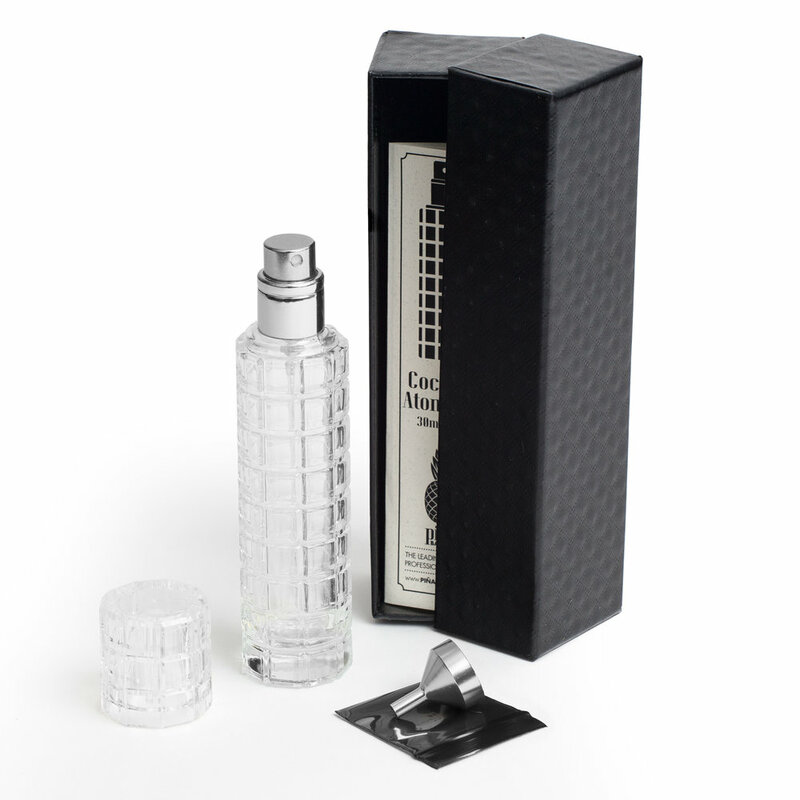 (30 mL) of Dry or Sweet Vermouth, Absinthe, Rose Water, Orange Blossom Water, or countless other non-viscous cocktail ingredients, this atomizer offers the unique capability of introducing subtle tastes and aromas to your cocktails. It makes a great gift for the Dry Martini or classic cocktail lover in your life - adding a new dimension to cocktails like the Sazerac, Manhattan, and Vesper. 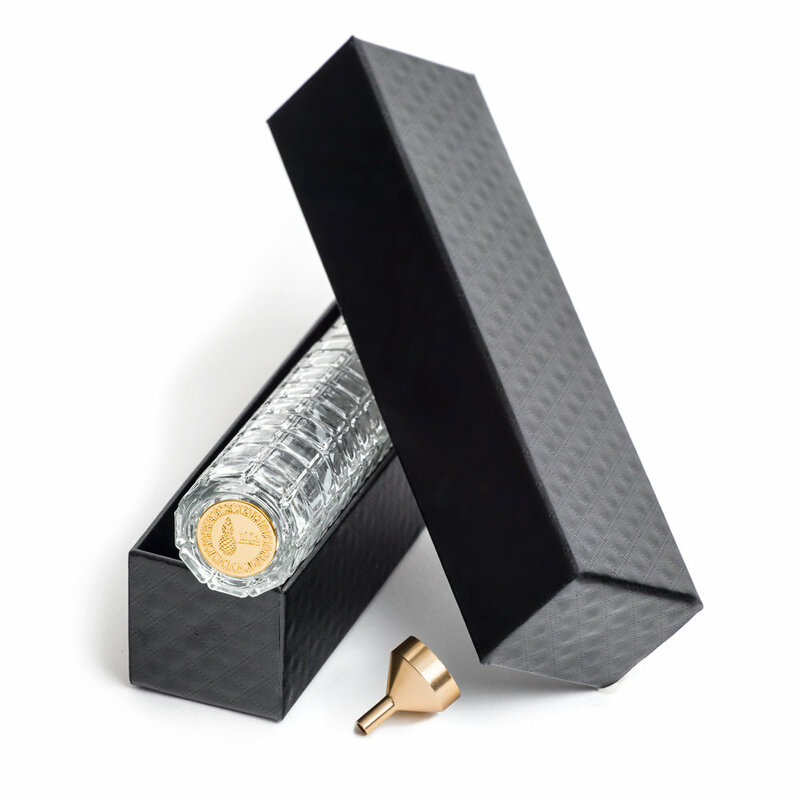 The atomizer ships in a custom textured gift box with a color-coordinated metal funnel and a recipe sheet with ideas to start using the atomizer right away. With two colors to match any bar - both classic and contemporary - this is a must-have for any fan of advanced cocktail making.